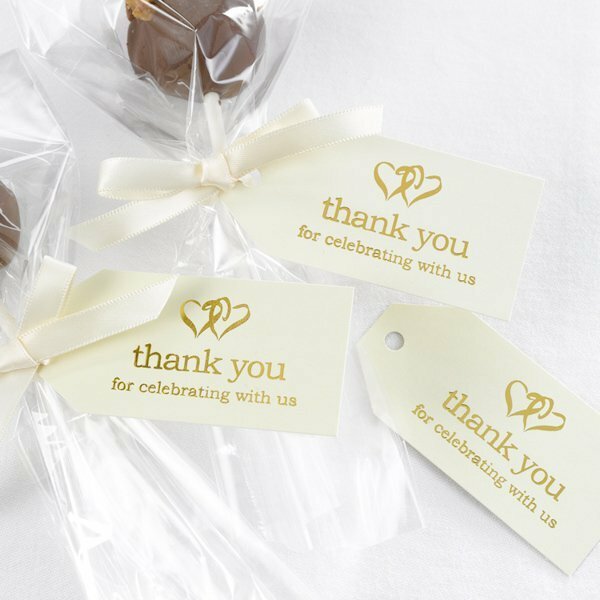 A great way to share your thank you sentiments on any of our favors, these luggage shaped favor tags have an ivory background that is imprinted in gold with 'Thank You for Celebrating with Us'. Tags are sold in packs of 25 with a 6 pack (set) minimum. Tags measure about 3" x 1.5". 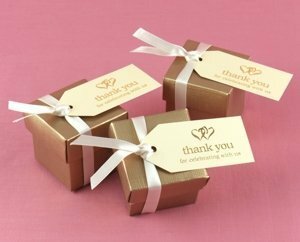 The gold favor boxes and ivory ribbon are not included. Please note that the minimum order quantity for this item is 6.